I have rarely been so impressed by a company and its employees. These guys were incredible and went the extra mile for me. The quality of the install was impressive. When issues arose, they were handled professionally and quickly with all parties happy. I was blown away! When I called, I said I'd like the swing and glider by Christmas. My Grandson said we'd rent a truck from UHaul to pick it up. Incredibly, both were delivered to my home before Thanksgiving! We really love them! Many thanks for your great products. Country Estate Fence has completed the fencing project throughout the Montecido at Portola Hills Association located in Lake Forest consisting of 300 units. Country Estate Fence replaced the pool fence, the lot fence and the perimeter fence at 2,717 LF. Country Estate Fence has worked with the Montecido community for the past 5 years and is pleased with the work that was performed. The vinyl fence looks great and it was completed on time. Country Estate Fence informed the management company of all issues and handled them in a professional manner. We would recommend Country Estate Fence for any fencing needs. They are reliable and quickly respond to any request. The Board of Directors for Carriage Hill wishes to extend their thanks to you for the beautiful job in installing the fence and supplying posts for the community sign. Your interest in the community of Carriage Hill is appreciated. You exceeded every promise you made to us and were, indeed, committed to making everything right--regardless of what it took to do so. The attention to detail by your staff was superb...As with all homeowner Associations, the homeowners themselves can be part of the challenge. Each and every homeowner's request was met professionally and in a timely manner. Larry Wadsworth was a pleasure to deal with and my communications with him were relayed to the appropriate party and taken care of. Your installation team was incredibly respectful of our property and I never had to speak to your office about debris being left on the grounds. The demolition went so smoothly and, once again, everything was hauled away neatly and in a timely manner. THANK YOU for making our fencing project such a success. Please feel free to use me as a reference and I am happy to speak to anyone considering Country Estate Fence for a future project. The Board of Directors of Sunset Gardens wishes to commend you and your work crew on the fence that they installed on both sides of our condominiums. The workmen were very courteous and stayed busy all the time they were on the job. They cleaned up each day after work and when the job was complete they hauled away all debris leaving no sign of their activity. All in all, it was a very professional job. 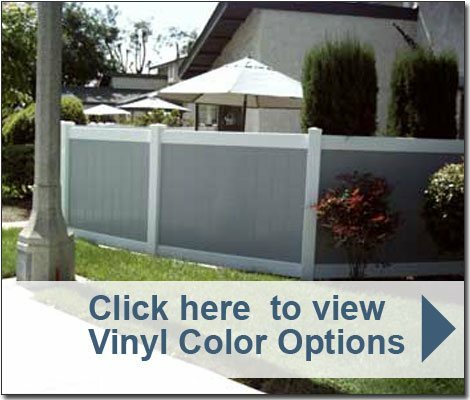 I wish to express my appreciation for the professional work done by your company in the planning and installation of our new vinyl fence. From start to finish the experience leaves me happy to recommend your services to anyone. After carefully comparing a number of fence companies, we chose this tempered glass fence company for good reason. All details and all aspects were thoroughly examined before we settled on this firm. Now that the job is complete, we can report, that all work was done very well and excellently. What was promised to us, they certainly delivered. Their estimate was reasonable and they beat their competition. All work was completed on time in a neat and methodical manner and we highly recommend them. Dr. Z. M. A. and Mrs. F. A. The vast majority of owners and residents in our complex has expressed high satisfaction with the new fencing and the resultant improvement in the appearance of our homes. Even owners who initially voted against replacing our badly deteriorated wooden fencing are very happy with the end result. Many of our vendors, such as our landscaping company, have commented on the remarkable improvement the new fences have made. Personally, I believe we made a good choice in selecting Country Estate to install our fences.